The Title Page is where the title of the term paper and information about the author appear. 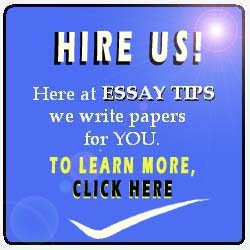 The Introduction is where the author introduces the main thesis or claim of the term paper. It is also the part where the primary question sought to be answered by the term paper is first stated. A brief sketch of the methodology is given as well. 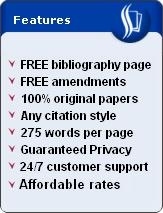 The Literature Review is where the author reviews articles that are relevant to the thesis of the term paper. Whether the articles affirm or refute the main claim of the paper, the inclusion of these articles is conventional. Basically, the articles to be included in the term paper's literature review should be academic and should be credible in order to give strength to the quality of the paper. The Methodology is where the author outlines and elaborates the steps that are to be applied in resolving the given problem. This is the section of the term paper which also presents a systematic explanation of why the chosen method has been selected. The Data Analysis section is where the results of the methodology is given. The resulting data (actual results) are analyzed in terms of the expected results and in terms of the hypothesis. The Results section is where the results of the data analysis are presented. The Discussion section is where the author discusses the results of the data analysis through the chosen methodology. This is the part where the author assesses whether the hypothesis has been affirmed or refuted. The Conclusions section is where the author closes the term paper with a brief reiteration of the problem at hand, the hypothesis provided, the procedures taken and the results of the data analysis. This is the part where the author provides the final affirmation or the refutation of the hypothesis. This section may also included suggestions for future research and for the application of the results of the term paper. Lastly, the Reference page is where all the sources are listed down in proper order. The order of the references depends on the referencing style adopted such as APA and MLA.